Ever experienced the taste of fresh Guava or lychee juice – they tastes like heaven. 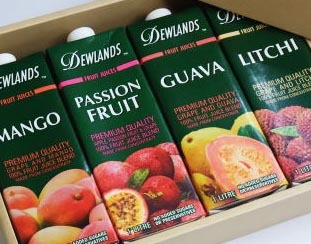 This range is full of surprises, the traditional Apple, Orange, Pineapple are only the start as you have the choice of Mango, Red Grape, Ruby Grapefruit, Fruit Cocktail, Guava, Lychee all in convenient, attractive 1 litre Popper type packaging that looks fantastic on a refrigerated cabinet. Have you tried the Kiwi Necta juices? Green Kiwifruit juice with healthy aloe vera, green kiwifruit by itself and the sweetness of Gold Kiwifruit. These juices would be great for summer and for the consumer who likes an exotic healthy choice.